“BLACK PRESIDENT is a band founded on the belief that the human race is angry, greedy, simple & ugly. We believe in educating ourselves, treating the world & people around us with the same respect we would take from it. We are not “politically correct”, we’re just not ignorant”. 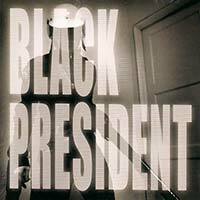 Black President self-titled debut out now on Cobra Music. For Los Angeles-based punk band Black President, all it took was one song, penned by guitarist and founder Charlie Paulson and titled “Last F__king Hope,” to detonate a musical explosion. Black President self-titled debut out now on Cobra Music. After finishing up a successful trek on the Vans Warped Tour 08 and a stint of hometown dates Black President is gearing up for a full national tour with TSOL kicking off January 23, 2009 in Pomona, CA.